In South African schools, the umbrella term orphans and vulnerable children includes child-headed households (CHHs). In the light of trauma exposure of learners from CHHs due to their plight, there is a need to investigate how they are supported. This research investigated the psychosocial-support provision for learners from CHHs in five public high schools in South Africa. This was a qualitative study using a phenomenological design. A stratified sampling method was used to gather data from principals, co-ordinators of health programmes and teachers with the highest number of learners from CHHs in their classes in 2014 or 2015. 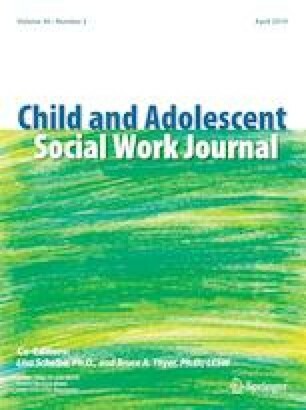 Findings are reported from the analysis of data gathered by means of semi-structured interviews and document analysis through the lens of trauma-informed approach. The highest number of learners from CHHs in the participating schools were in Grades 10 to 12 and the percentage ranged between 0.6 to 2.5 in 2014 and 2015. The programme of informal adoption of learners by teachers seemed to be working well, better than other programmes that were implemented by government departments. The results of this study highlight the importance of implementing trauma-informed approach in supporting learners from CHHs. All procedures performed in the study involving human participants were in accordance with the ethical standards of the institutional ethics committee and with the 1964 Helsinki declaration and its later amendments or comparable ethical standards. Informed consent was obtained from all individual participants included in the study by the second author. Bilodeau, E. (2015). Transracial adoption in Cape Town, South Africa: The perspectives of black young adults. Independent Study Project (ISP) collection. 2041. Retrieved February 01, 2019, from https://digitalcollections.sit.edu/isp_collection/2041. Blackie, D. (2014). Child abandonment and adoption in the context of African ancestral beliefs in contemporary urban South Africa: Fact sheet on child abandonment research in South Africa. National Adoption Coalition South Africa (NACSA). Retrieved February 05, 2019, from http://www.adoptioncoalitionsa.org/wpcontent/uploads/2014/05/Fact-Sheet-Research-on-Child-Abandonment-in-South-Africa_Final2.pdf. Listenbee, R. L., Torre, J., Boyle, G., Cooper, S. W., Deer, S., Durfee, D. T., …, Taguba, A. (2012). Report of the attorney general’s national task force on children exposed to violence. Washington, DC: U.S. Department of Justice. Retrieved March 08, 2019, from http://www.justice.gov/defendingchildhood/cev-rpt-full.pdf. Phillips, C. (2011). Child-headed households: A feasible way forward, or an infringement of children’s right to alternative care? Doctoral dissertation. Retrieved March 10, 2019, from https://openaccess.leidenuniv.nl/handle/1887/17832. UNICEF. (2014). Orphans and child-headed households. Retrieved March 10, 2019, from http://www.dreamstoreality.co.za/orphans-and-child-headed-households/.